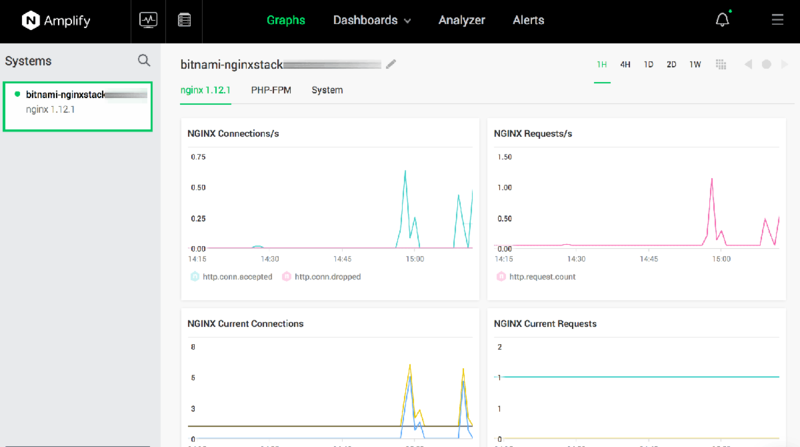 NGINX Amplify makes it possible to obtain system and NGINX metrics using a visual dashboard. This is useful to monitor the performance of your applications running on NGINX, as well as to monitor the overall health and status of your NGINX server. This guide walks you through the process of using NGINX Amplify with a Bitnami stack running the NGINX server. 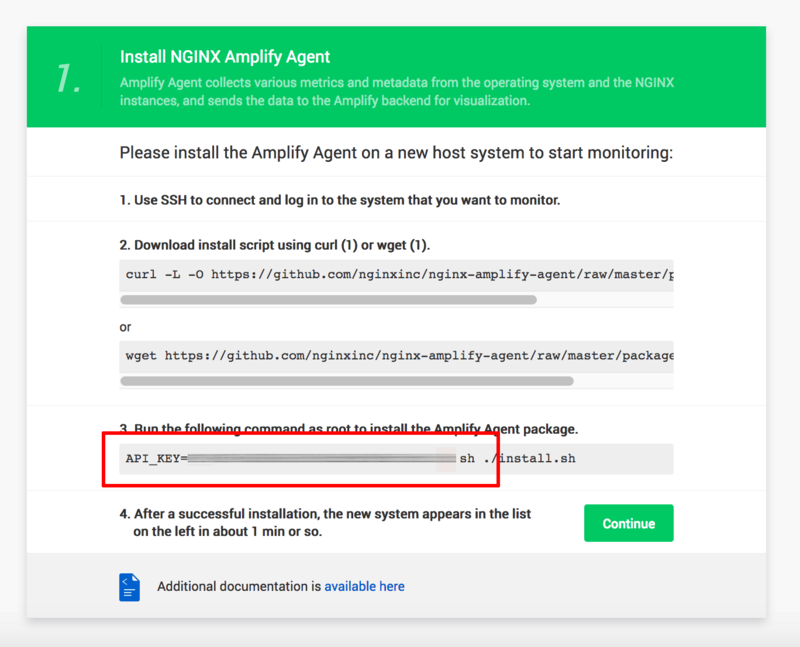 It guides you through the process of installing the Amplify Agent on your NGINX server and updating the Bitnami stack configuration so that the Amplify Agent can begin monitoring server status and health. You have a basic understanding of NGINX and NGINX Amplify. You have an NGINX Amplify account. If you don’t, sign up for a free account. 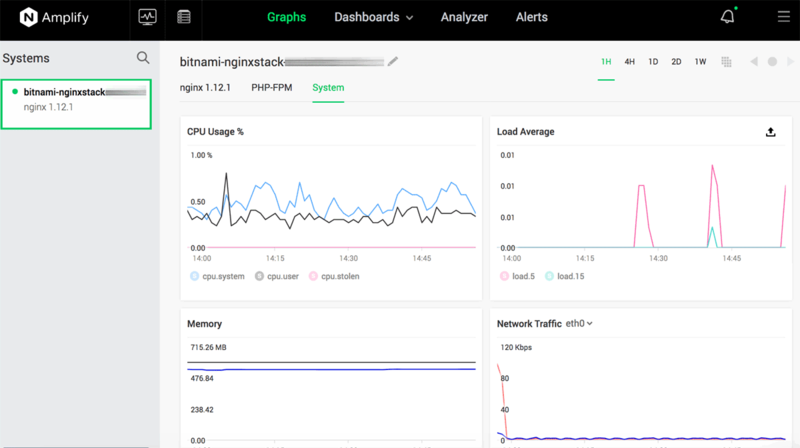 Log in to the NGINX Amplify dashboard. Log in to the Bitnami NGINX Stack server console using SSH. Install the Amplify Agent on the server by executing the instructions below at the server console. Replace the YOUR-API-KEY placeholder with the API key obtained from the Amplify dashboard. 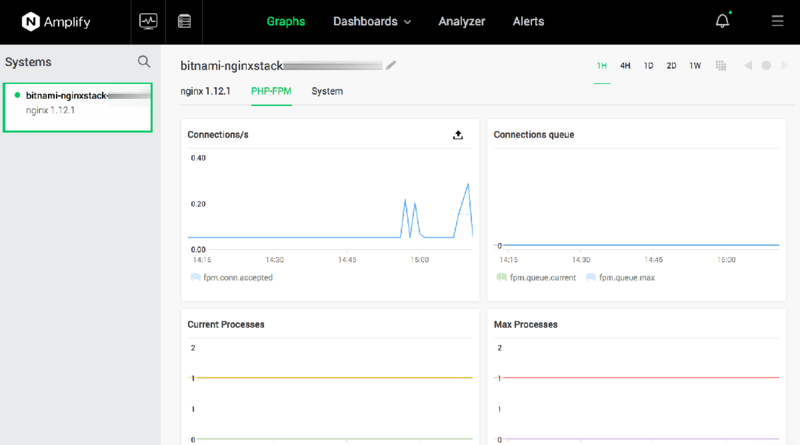 Log in to the Bitnami NGINX Stack server console using SSH (in case you’re not already logged in). TIP: If you’re using a recent version of the Amplify Agent, this step is optional as the information will be automatically detected by the agent.